They are amazing. I changed to these after wearing a heavy prosthesis for 21 years and there is a huge difference. 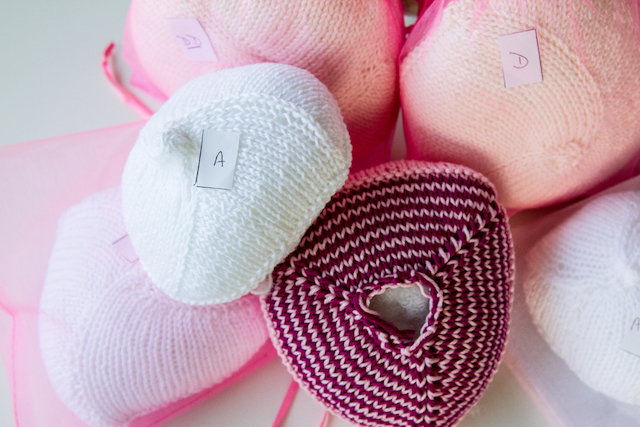 They are so light and comfortable and come in different sizes to match the other breast. They are not noticeable and you forget you are wearing one. No worries with a low necked dress. Thank you so much for the wonderful idea and the wonderful knitters.